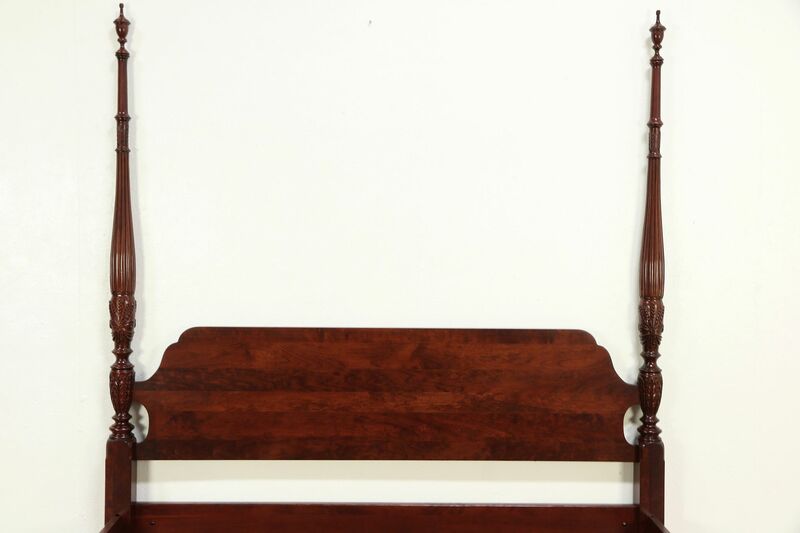 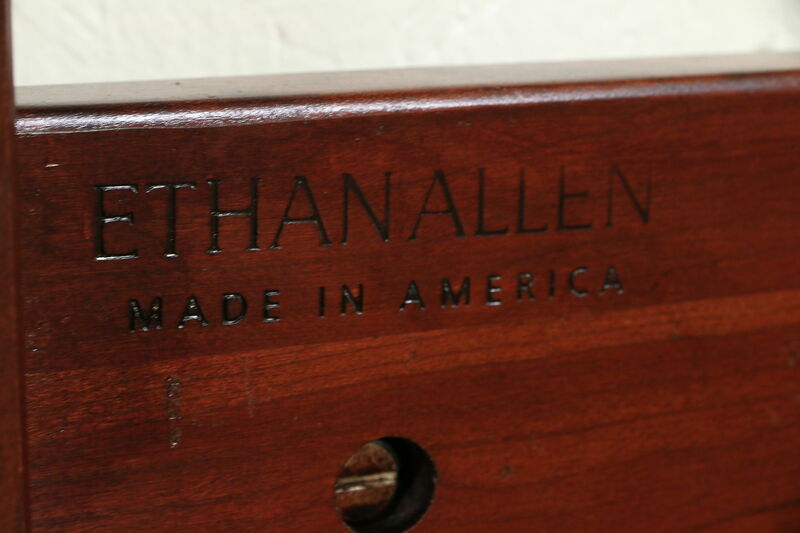 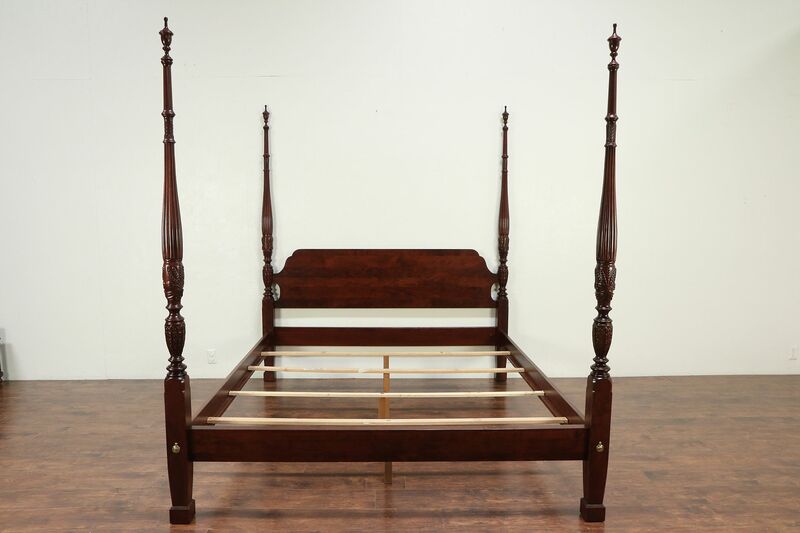 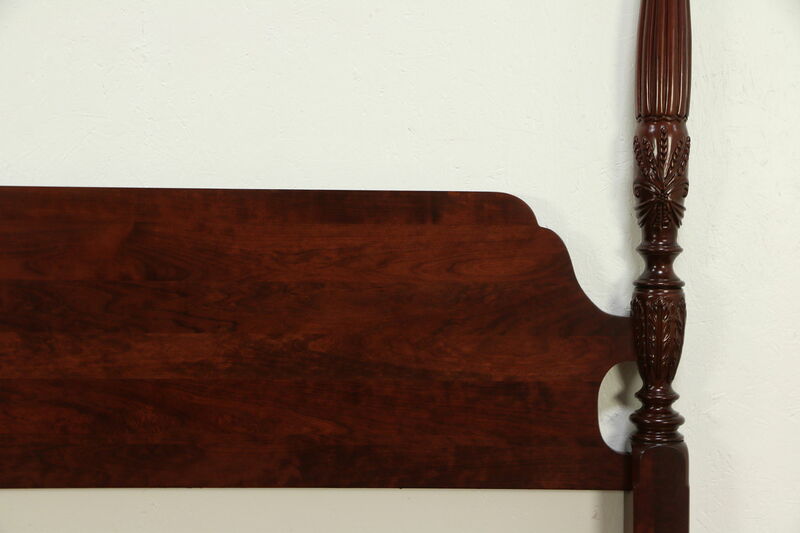 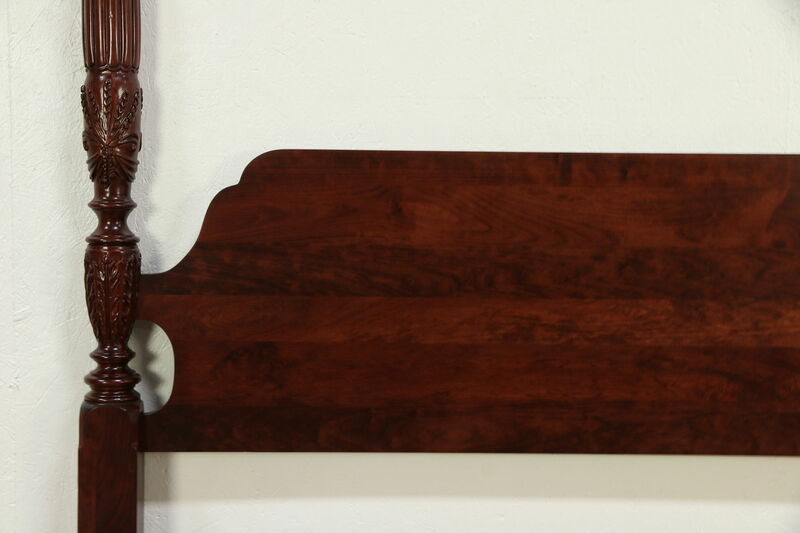 A California King size poster bed with traditional South Carolina rice plantation carving is signed "Ethan Allen, Made in USA." 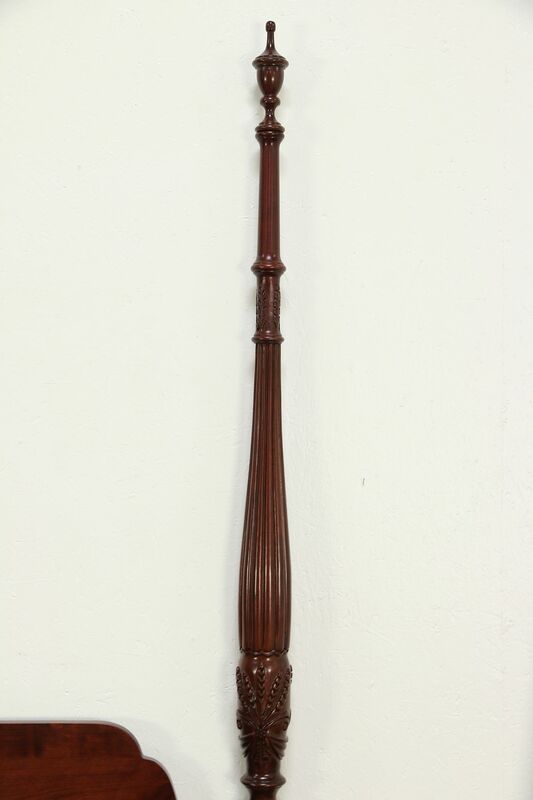 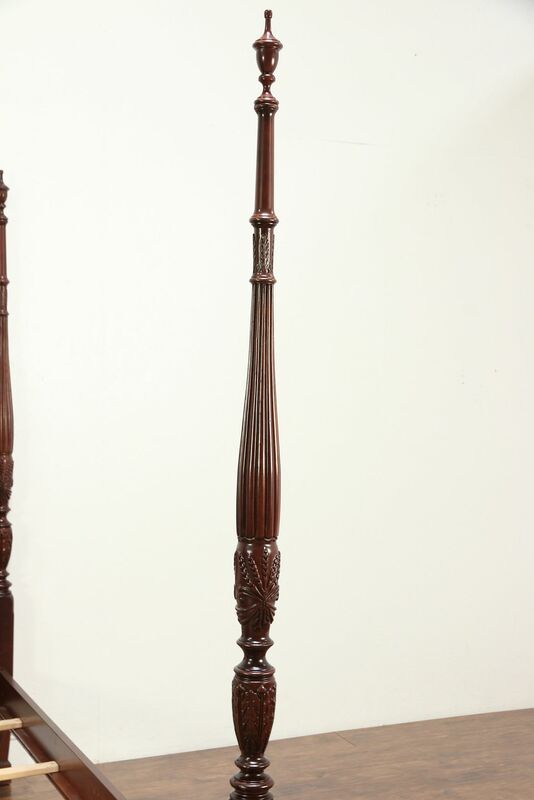 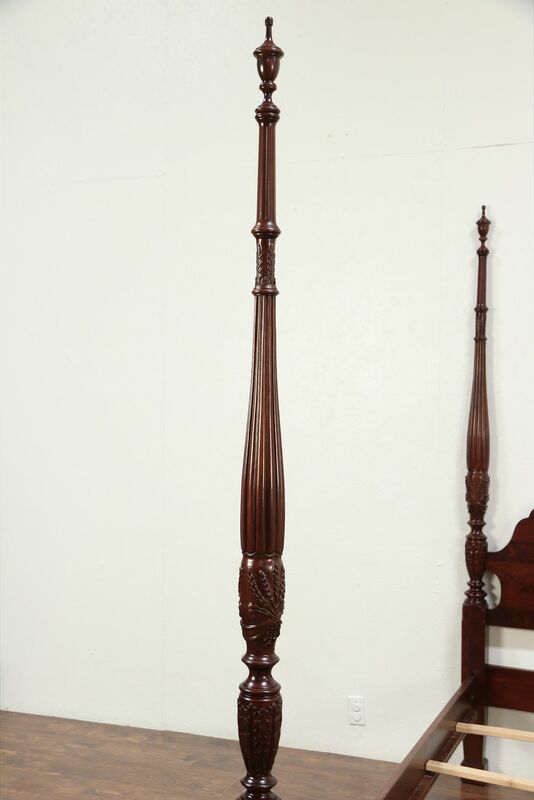 Solid cherry, the fluted and shaped columns are beautiful. 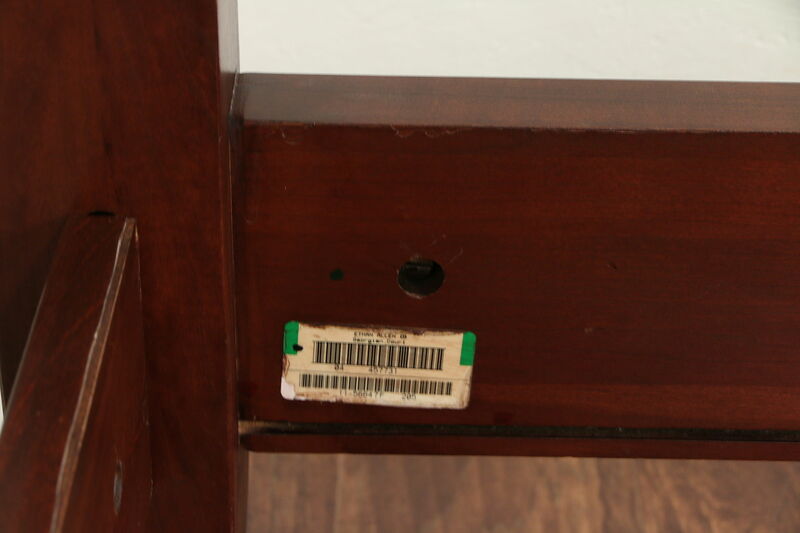 The restored finish is in excellent condition on this classic vintage furniture. 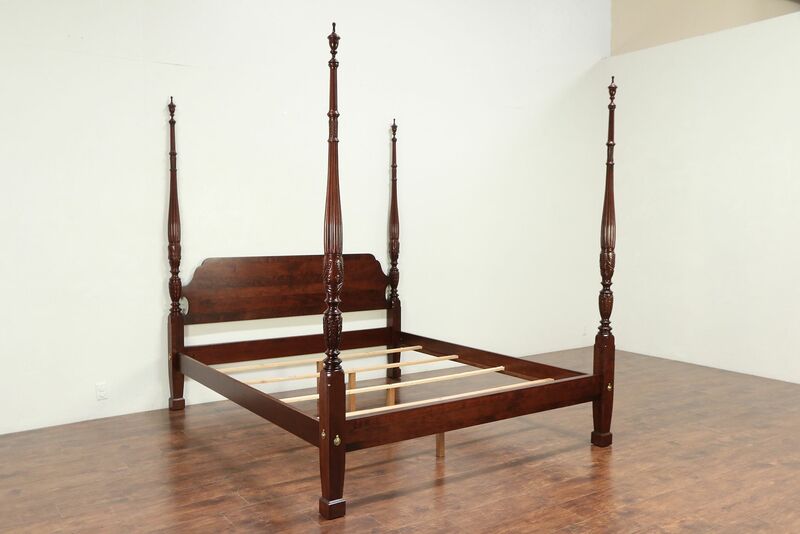 Interior size is 72" x 84" and original cross supports and feet are included as shown. 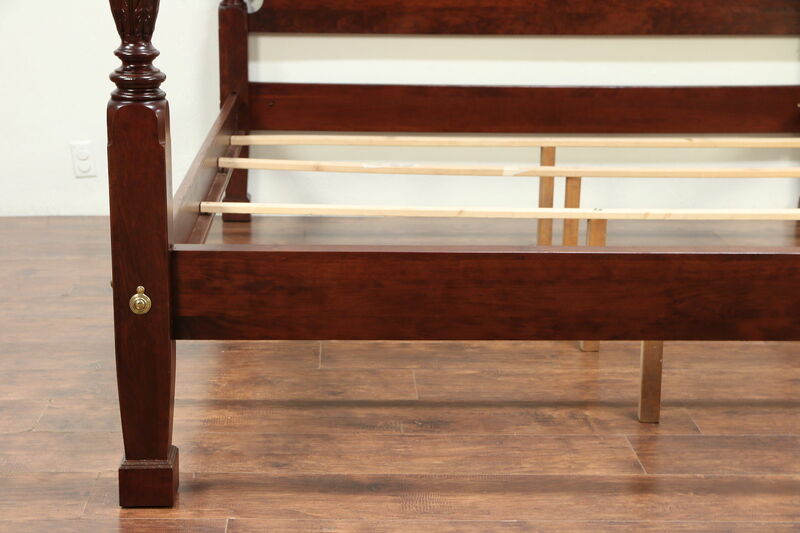 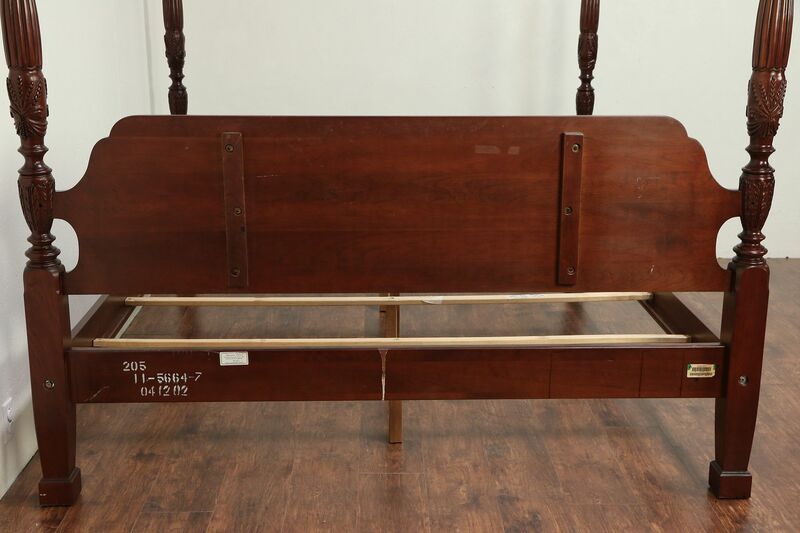 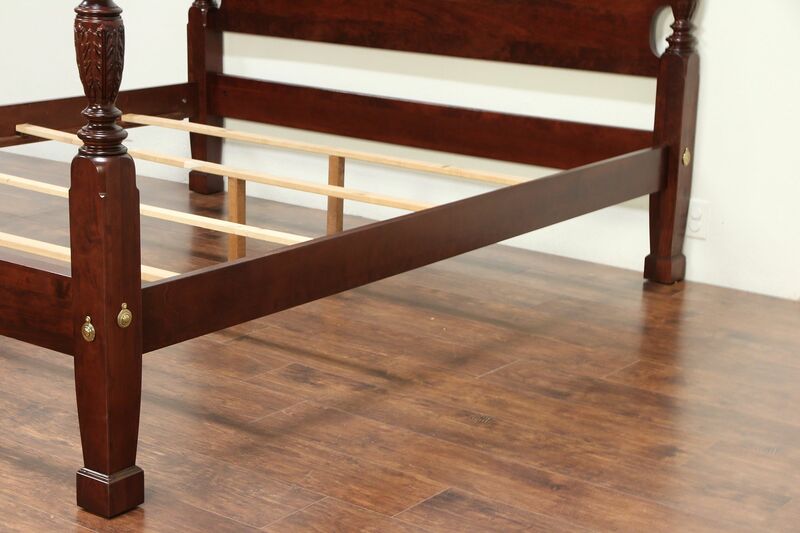 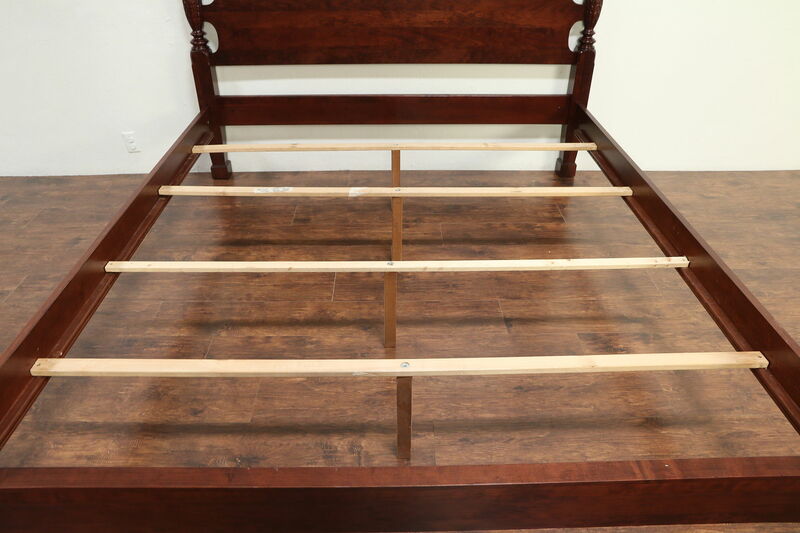 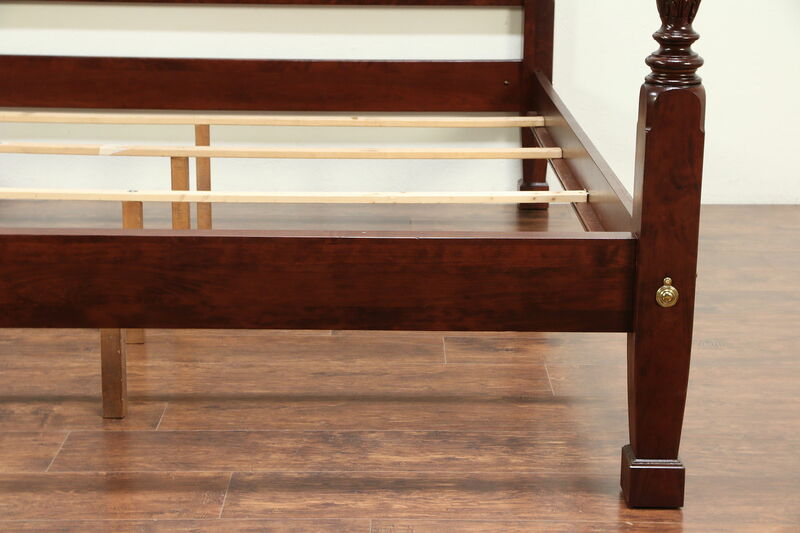 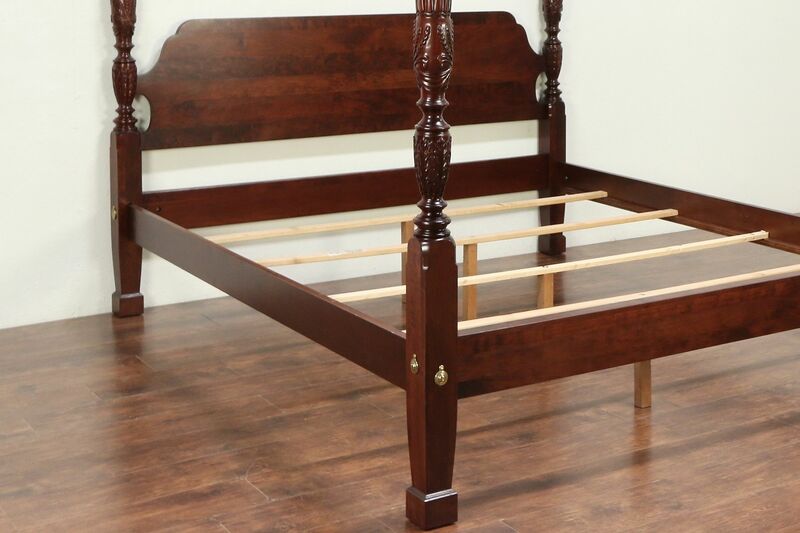 This bed has bolts with brass covers and completely breaks down for easier shipment. 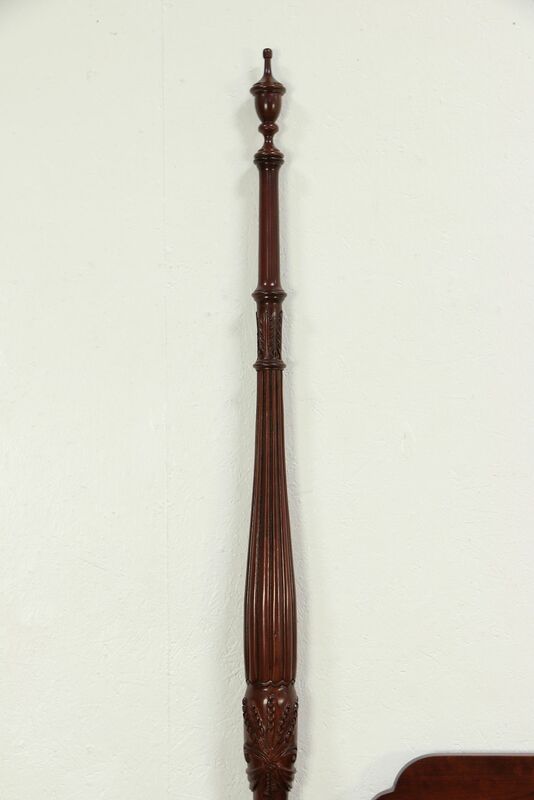 Measurements are 78" wide, 91" long and 87" tall.